If you'd like to print any code you are working on it the CodeHS editor, first click "More" then "Print" from the right side. 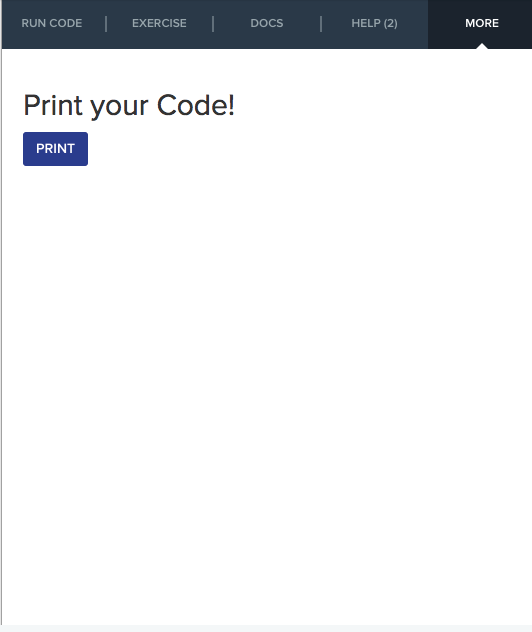 Then click the "Print" button to print your code. 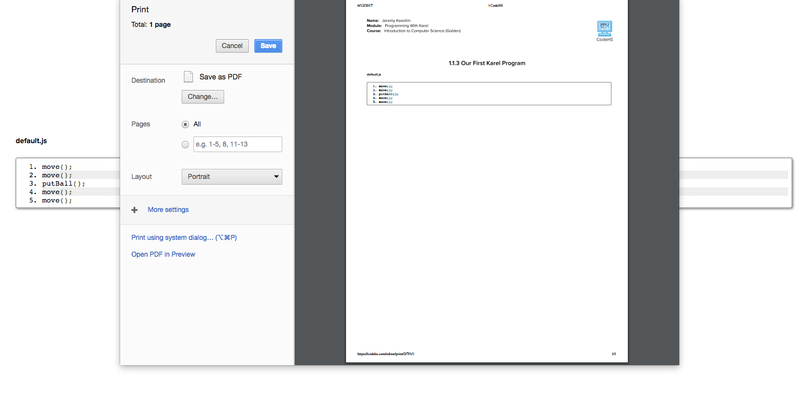 A new page will open up, nicely formatted for printing and pop up a dialog to print it out. That's it!